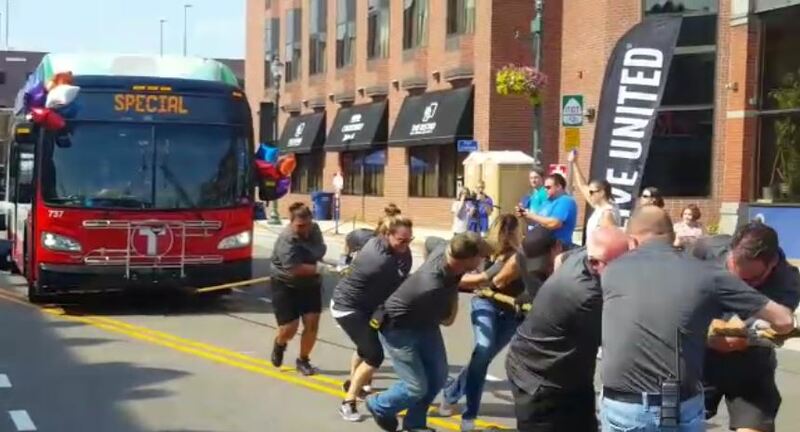 On Thursday, August 16, 2018, a dozen Metro Bus employees participated in the annual United Way Bus Pull presented by New Flyer. Twenty-three teams competed to pull a 35-foot bus 60 feet as fast as possible. The event raised funds for the United Way of Central Minnesota. 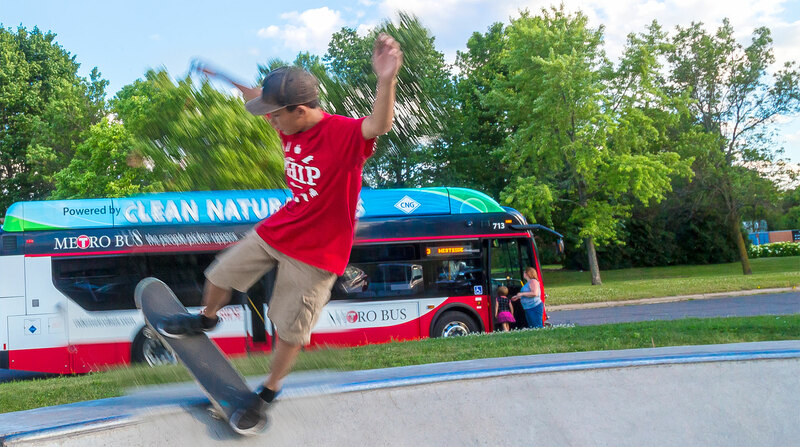 This was Metro Bus’s second year participating in the event, and they tied for 14th place with a time of 12.71 seconds. This year’s first place winner was New Flyer, at 10.61 seconds. They received a trophy and bragging rights. For more information about the Bus Pull event click here. Metro Bus operators, maintenance and administrative staff teamed up to compete in the United Way Bus Pull.